When you’re pitched a four dimensional water bottle, a baby’s first mace, or completely opaque windshields, you might want to stop and wonder how you found yourself in that position. 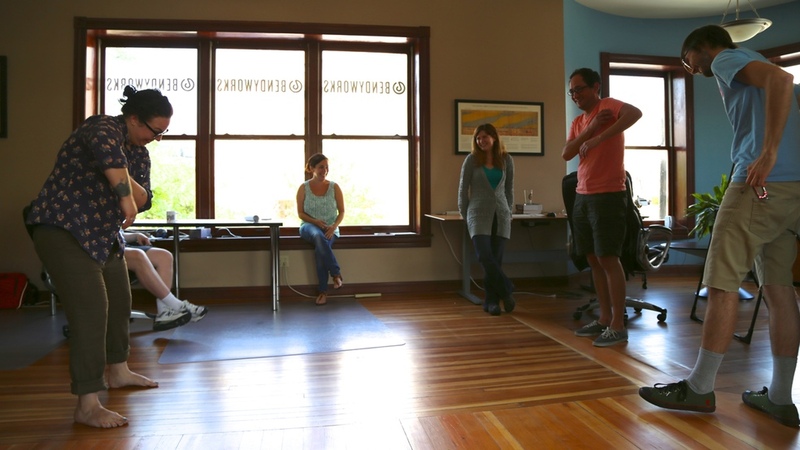 While this isn’t exactly a common situation at Bendyworks, it certainly happened at the office this past Wednesday. Fortunately for today’s savvy consumer, however, none of these products were ever intended to see the retail shelf. 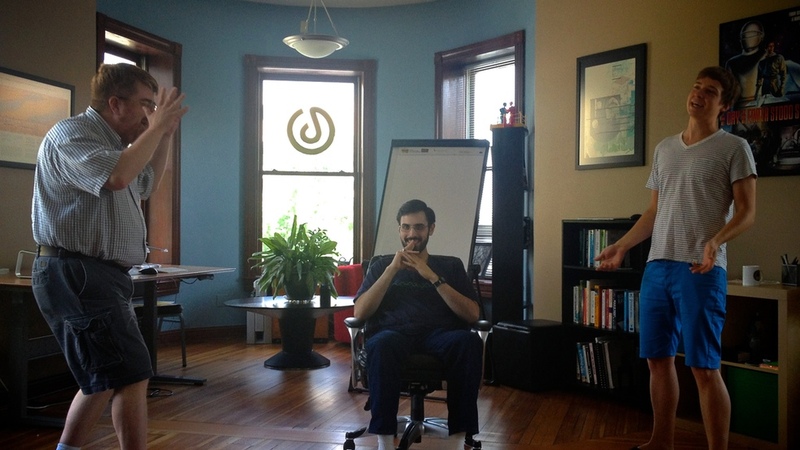 Instead, they were part of an improv activity designed to stretch the mind and boost collaboration. This all started when we brought in Jessie Shternshus from The Improv Effect (a client of ours, no less!) to lead everyone in a day of improv. Jessie got us started with a few warm-up exercises that certainly calmed our nerves about the stigma of “acting.” Not long after, though, we were off and running. While we definitely had fun making absolute fools of ourselves, the retrospective at the end of the day uncovered a vast trove of new skills we had just acquired, albeit in an… unconventional manner. Even though some of us were awfully apprehensive of spending any time learning improv, we all came out of the day with a new appreciation of its potential. Oh, and here’s a picture of Kelly making Mic do a funky dance while he tries to answer off-the-wall questions from Amy and Matt.